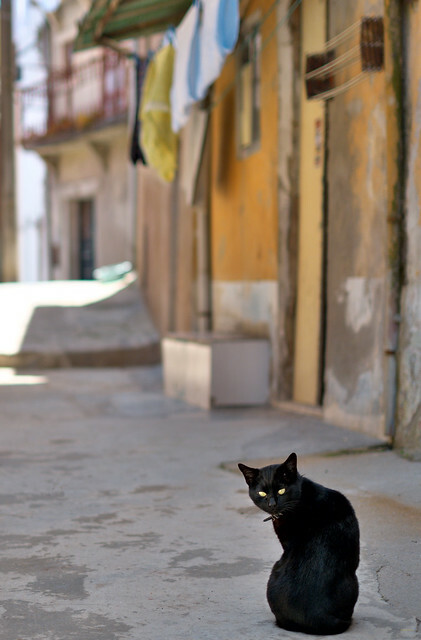 Foto Friday: A Street Cat with Desire! I was recently exploring yet another part of the city. As I crept towards it, the look it shot me said no to some petting, but a trade of a shot look for a shot picture and I’m happy with this image! A cat, I think, with some confidence. We were, as I have said, returning from a dip, and half-way up the High Street a cat darted out from one of the houses in front of us, and began to trot across the road. Montmorency gave a cry of joy—the cry of a stern warrior who sees his enemy given over to his hands—the sort of cry Cromwell might have uttered when the Scots came down the hill—and flew after his prey. True, but it was you who posted it!